In a world of constant computer security breaches, organizations need to be extra vigilant in securing their systems. But what does this actually mean? Software vendors will tell you that you require a variety of different products to ensure system security, but which ones do you really need? Can you just use the native tools instead? Or if you do need to buy extra software, how do you work out which products best fulfil your requirements? 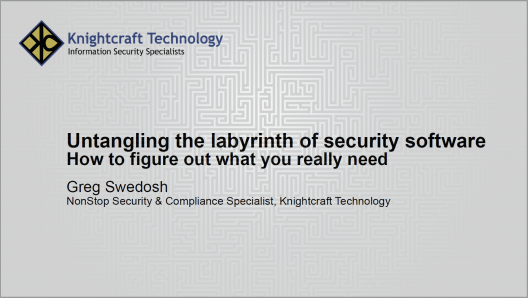 This vendor neutral presentation will help you identify which security software you truly need, provide some useful questions to ask your software vendor and discuss what to test for during your evaluation. This presentation was delivered at the 2017 HPE NonStop Advanced Technical Boot Camp, San Francisco, California in November 2017.